Unique Moments Photography of Gig Harbor Captured this image at Filigree Farms in Buckley Wa. This was in the bridal dressing area. 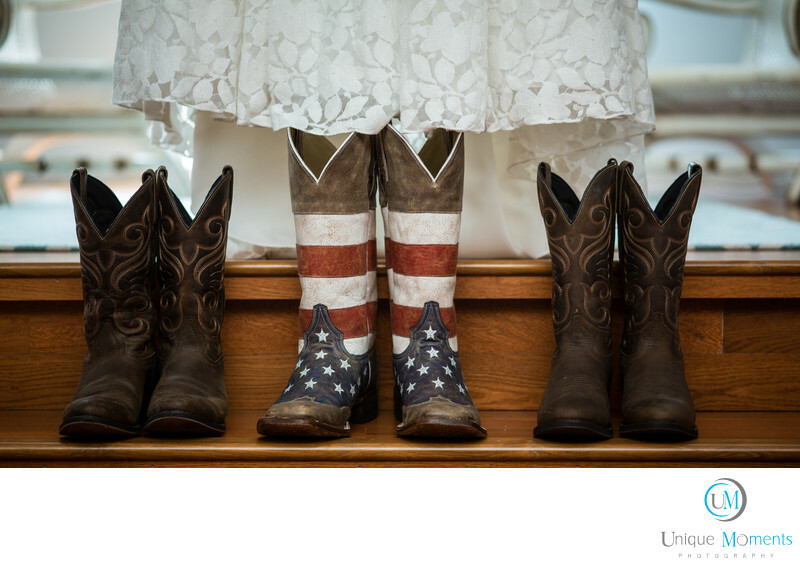 We loved the boots that the girls wore for this country wedding. The dress and the boots were just perfect. We always capture the details so the story can be told properly. Filigree Farms dressing areas are awesome and images captured in there areas will be great. Highly recommend Filigree farms if your considering an outdoor wedding.